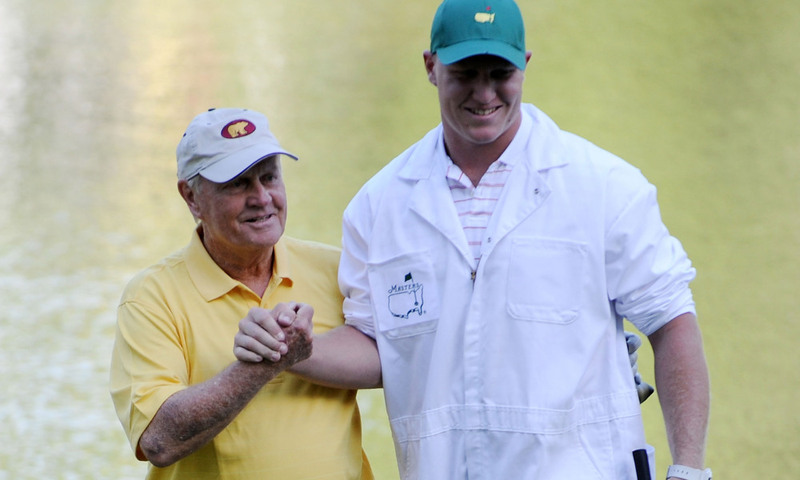 Let me know if you’ve heard this one before, Nick O’Leary is Jack Nicklaus’s grandson. Nick has a college championship and has played in the NFL for 4 seasons. He could’ve been the greatest tight end to ever play the game, but it doesn’t matter, he’ll always been Jack’s grandson. As somebody who is the oldest child and adopted, I’ve never had to live in anyone’s shadow. My siblings were not so fortunate. My sister was Brandon’s sister as she was coming up through school, and my brother was either my little brother or my sister’s little brother. The guys on the list this week all had to fight through something along their path to becoming an NFL player, and O’Leary’s is probably the least challenging, but it’s something that he can’t change either. The walk-ons and backups getting their chance, and making the most of it, are ready for you below. As I said with Eli last week, you do not have to watch these guys play to get their fantasy points for the week. And thank goodness for that because Eli was brutal on Monday night and watching Keenum is similarly painful at times. However, Keenum has something that Eli does not, an offensive line. Keenum is currently has the 20th most fantasy points on the season, ahead of Russell Wilson, Alex Smith, and Marcus Mariota. While 20th isn’t much to write home about, he has scored 15 or more points in 4 of his 7 games this season. He’s actually 14th in yardage on the season, above Dalton, Carr, Stafford, and Cam. He has the 12th most completions and 8th most attempts, so, the Broncos are letting him toss the ball around. The thing pushing Keenum down the points leaders is his lack of TDs and his tendency to turn the ball over as he is 2nd in the league with 9 turnovers, only behind Sam Darnold. So, I do feel better about this streaming option if you interceptions don’t count for negative points in your league. It is a plus match-up for Keenum against a lackluster Chiefs D. The Chiefs are allowing the 5th most fantasy points to opposing QBs, which includes allowing the most yardage vs QBs. The defense as a whole has allowed the 8th most points and the most yardage on the season, and while they have come away with 7 interceptions on the season, they have the 18th worst turnover percentage. I have to admit, this call is more of a feel call than anything I’m going to tell you statistically about Baker. I feel like he’s been playing better and just has been hit by turnovers and also some sketchy play from his WRs. 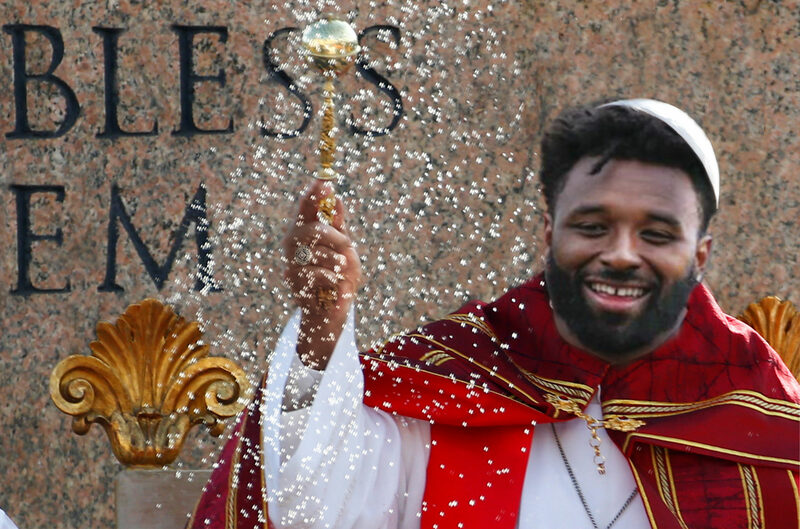 Even the sure handed Jarvis Landry has 6 drops on the season. Baker is bottom half of the league in most stats, but there were always going to be some growing pains from the rookie QB (plus he’s in Cleveland). The Browns will hear all week that they haven’t beat the Steelers in Pittsburgh since 2003 and I think they come ready to play. I know, I know, it’s a game narrative that may or may not be a real thing, but how can it not be motivation for the Cleveland locker room. I don’t think that the Browns actually win the game, but I expect everyone to come to play. If nothing else, it’s a plus match-up for Mayfield as the Steelers have allowed the 8th most fantasy points to QBs. The defense has really been bitten by the TD as they are tied for the 5th most allowed to QBs. The Steelers have been much better against the run, which will hopefully alter the game plan away from the front 7 and more towards the pass for the Browns. Uzomah’s ownership percentage on Fantrax has climbed from 20% two weeks ago, when he was in this column, to 50% nowadays. Some of C.J. Uzomah rise has been the absence of competition for snaps as the Bengals lost Eifert for the season and are going to be without Tyler Kroft for a little while after he fractured his right foot. However, Uzomah is not just the last man standing, he’s also shown that he has the talent to be a meaningful piece of the offense. The former high school wide receiver and basketball player still has a few things to learn, but that is much more on the blocking side of things than in the receiving work. The injuries to Kroft and Eifert have yielded results for Uzomah as he has the 4th most targets between the receivers and tight ends, and over the last 3 weeks, he is 3rd in snaps behind only A.J. Green and Tyler Boyd. In those 3 weeks, Uzomah has either 40+ yards or a touchdown in each game. Uzomah has yet to put any big weeks together, but I think he’s a pretty safe play for some points this week in a great match-up for the TE. The Buccaneers have given up the most fantasy points on the season to the tight end position. They have allowed the 4th most receptions and the 2nd most TDs and yards. To be fair, they have faced a number of solid tight ends (Ertz, Burton, Hooper, Njoku, Watson, and the Steelers TE duo). Jack’s grandson got his opportunity in week 6 vs the Bears with Derby out and Gesicki banged up, and he capitalized with 4 receptions for 49 yards and a touchdown. That performance in week 6 earned him playing time in week 7 to the tune of 52 snaps compared to Mike Gesicki’s 27 snaps. Both Gesicki and Derby are questionable coming into the short week Thursday night game, which likely means that we’ll see O’Leary get the bulk of the work again. Don’t forget that O’Leary was the primary pass catcher from tight end on the Jameis lead FSU teams. He’s never quite lived up to his college billing, but he’s a smart player who knows what he’s supposed to be doing and where to get on the field. The Texans have been pretty mid pack against the tight end so it’s not an amazing match-up, but if you’re looking in the low owned pile, this may be your guy. Derek Anderson is starting for the Bills. Lesean McCoy is going through concussion protocol. Chris Ivory has an unspecified, but expected lower leg injury. Kelvin Benjamin and Zay Jones are tied for 75th among WRs in fantasy points and lead the Bills in scoring. Jason Croom has more fantasy points than Charles Clay. If things go bad with Derek Anderson, the next in line is Nathan Peterman. For the most part, the Patriots defense has been far from special. They’ve allowed the 8th most points and 5th most yardage, and are in the bottom 10 of a lot of defensive stats. However, they do create turnovers with 4 fumbles and 10 interceptions on the season, which is good enough for 6th best turnover percentage. They should have plenty of opportunity for turnovers against the Bills. If you haven’t been paying attention, and judging by the ownership percentage, you haven’t, the Redskins defense looks much improved this season. The defensive line has stepped up their game and have really halted the run. The sack total isn’t overly impressive with 14 on the season, but they have been getting more pressure than last year. The Redskins are currently 3rd best in points allowed this season and have allowed the fewest yards. They are better against the run as they have allowed the 2nd fewest yards on the ground, but have been strong against the pass as well with the 6th fewest yards allowed. The Redskins are top 10 in turnover percentage as well and have the 4th best scoring percentage. The Redskins take on the Giants this week that made the Falcons lackluster defense look impressive. The Giants offensive line additions have done little to nothing to improve their troubles and I don’t see that changing this week. 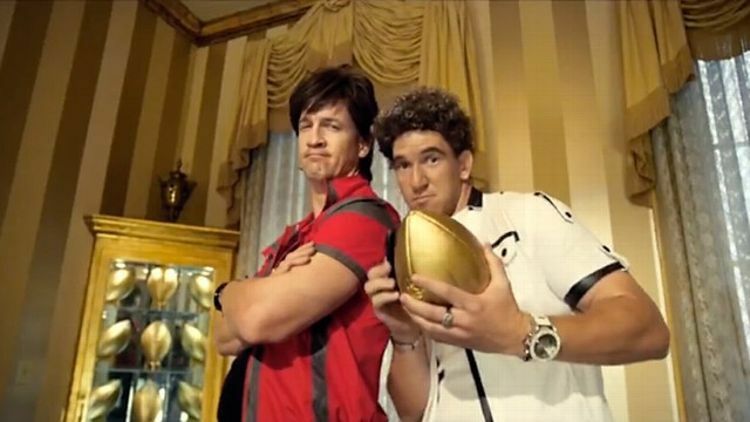 There are plenty of weapons, but Eli needs a clean pocket and he hasn’t been getting it this season. Even when he gets a clean look there have been many misfires from Peyton’s little brother this year. Follow B_Don on Twitter @DitkaSausagePod. Check out his podcast here on Razzball. Ditka, Sausage, and Fantasy Sports. 14 team super flex, i drafted allen/peterman to lock up BUF’s QB (only have goff besides at QB), then i guessed wrong (had dropped peterman right when he was benched or just after) and grabbed back peterman over anderson (the anderson WW guy tried getting coleman for anderson, this is especially insulting as this owner should know i don’t act out of desperation/stupidity). now have kessler (could go mccaron, had kelly twice or 3 times). this week have to play 2/3 out of brieda (might be out), RJ2 (barber might NOT be out), parker (plays tonight, and due to injuries they probably have to stop jerking him around for playing time). guessing i have to play parker here, otherwise i might end up with 2 zeros or near them if barber is fine and breida sits out or “plays” but plays the amount he did last week. @Yr Never Too Old For Balloons: Seems like the right call. Hopefully you got Parker in your lineup. wow, look MIA coaches, you give carries to coffee cake you get TD’s. seems too easy, even for MIA’s awful coaches. @The Harrow: and even after they keep on using plays to give to gore anyway. at least they can’t F parker over this week for playing time. @The Harrow: I was right there with you, yelling at the coaching staff for not giving Drake more touches. I admit that Gore looks alright, but it’s pretty clear to me that Drake is more talented at this point in their careers. @B_Don: gore does look better than anybody would’ve thought (similar to AP) but like rotoworld’s blurb mentioned, having your best player get 15 or less touches a game is a great way to lose games. and they’ve now done this with him, and previous regime did it for 3 years with l.miller as well. parker sure looked DAMN good for a guy who’s been benched all year too. MIA is top 5 for worst run teams in the league and has been for at least 5 years now. meanwhile their coaches get caught posting to social media them snorting a large pile of white powder, but “the players are the issue”. ajayi too forgot about that one, they get mad at a pro bowler and move him off in a deal that if it happened in a fantasy league the owner that traded him away would be kicked out for collusion. @Eli Man Penguin Boy: 1) I don’t know what site you play on, but may just leave Doyle on the IR for the week and play Vance if that’s an option. If not, I’d drop Barner. 2) I’d probably drop Barner and go ahead and pick up Gio to slot into you IR spot as the Mixon owner. 3) Vannett can be dropped. Are you having to play one of these guys this week? I would look at general opportunity over this week unless you have to play one. If you do, I guess I’d go with Reynolds. Otherwise, I’d take the shot on ESB in case Cobb/Allison have any kind of set back this week.